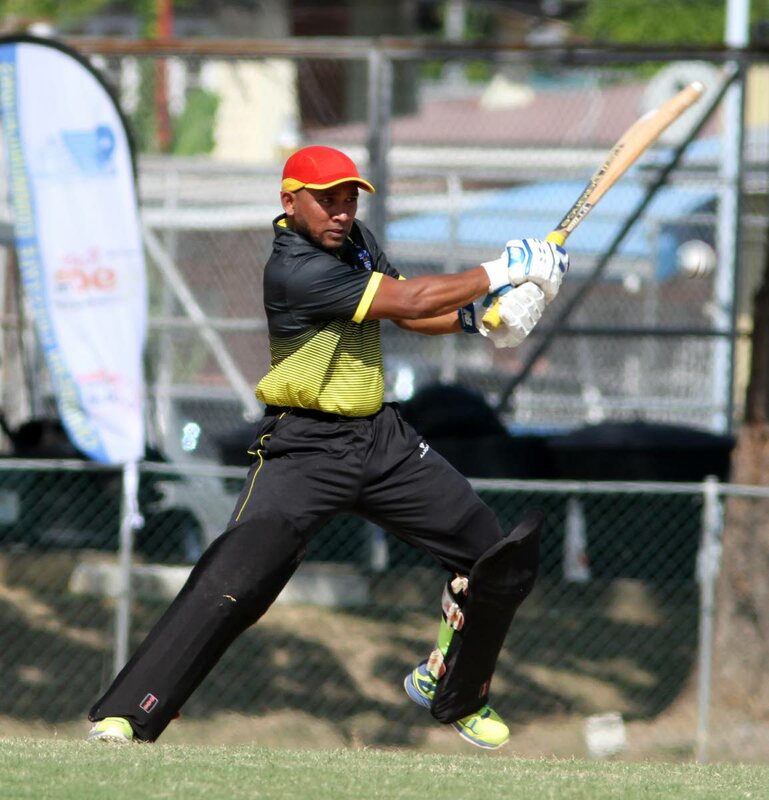 HOST team UWI maintained their hopes of making the UWI World Universities T20 Cricket final courtesy of a nervy two wicket-win over the Tertiary Sport Association of TT (TSATT), on Thursday night, at the Sir Frank Worrell Cricket Ground, St Augustine. Winning this eliminator now puts them into a semi-final clash with Oxford MCC, today at 2 pm, at the same venue, to determine who will face Combined Campuses and Colleges (CCC) for the title tomorrow. Sent in to bat first, TSATT could only manage 128 all out in their 20 overs. UWI got to their target with two balls to spare and the hosts will now be hoping they can beat Oxford MCC, who stunned them in the group stage with a comfortable eight-wicket win. From the onset, UWI’s bowling attack looked very effective with Shaquille Brown getting Mikel Frederick out LBW for duck and luring James Duncan to slash into Sachin Seecharan’s hands for six. Rachad Forde then removed skipper Mark Deyal for five to leave TSATT tottering at 31 for three. Opener Randy Mahase tried to reinvigorate the innings with 28 off 25 only to be bowled by spinner Jovan Ali. Saiba Batoosingh offered heavy resistance with a diminutive 43 from 32 (two fours, one six), but overall, TSATT struggled to net boundaries. Justyn Gangoo chipped in with 17 but Forde would go on to remove Batoosingh while Gangoo would lob one to Al Small off Vikash Mohan. With wickets crumbling and the score at 113 for seven, Forde returned to mop the tail up by bowling Jabari Mills for duck to end with three for 28. Michael Frew would also hasten the demise of the innings, removing Ramesh Brijlal (two) and Suraj Seepaul for 10. UWI made difficult work of the chase with Amit Sankar nabbing Seecharan early for duck. Steven Katwaroo made 12 but Frederick got him stumped by Mahase. Mohan (13) fell soon after to Gangoo while opener Adrian Ali tried to keep the board moving. He’d eventually exit caught and bowled to Deyal for 32 (four fours), leaving Frew to steady the innings. Frew registered 29 off 22 with two boundaries but was clearly lacking support. Gangoo returned to nab Duane Cockburn leg-before for duck, followed by Brijlal scalping Forde in similar fashion for four. However, Frew and Cameron Pennyfeather would secure the path the victory with a seventh wicket stand of 43. Man-of-the-match Frew ended unbeaten to complete an impressive all-round performance while Pennyfeather cracked 28 off 16 with one four and three hefty sixes. Despite Brijlal bowling Pennyfeather and Mills then removing Brown with our scoring, Frew and Ali (J) would guide UWI home. TSATT 128 (Saiba Batoosingh 43, Randy Mahase 28, Rachad Forde 3/28, Shaquille Brown 2/17, Michael Frew 2/20) vs. UWI 129/8 (Adrian Ali 32, Michael Frew 29 not out, Cameron Pennyfeather 28, Justyn Gangoo 2/16, Ramesh Brijlal 2/33). UWI won by two wickets. Reply to "UWI face Oxford MCC for Universities final spot"